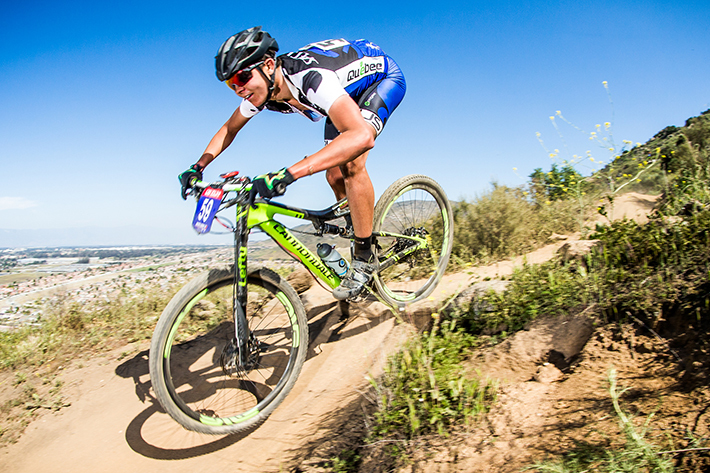 We met with mountain bike champion Felix Burke this week. Since he’s been an official Tremblant Athlete Ambassador for only one year, and also an emerging athlete, we wanted to get to know him better. Felix was just coming out of a workout, still dressed in his bike suit and wearing his clip shoes. The athlete sat down with us and we had a nice chat about his introduction into this sport, his career so far, and his upcoming projects. Tremblant: We see that you’re just finishing a workout! The season is already underway? Felix: Yes! I was quite anxious to get my bike out! I’m waiting for the mountain trails to be ready and I am now training on my road bike. To avoid damaging the trails in the forest, it’s important to wait until they are thawed and firm; otherwise you risk damaging them for the season. T: Once the mountain bike season has started, do you still road bike? F: Road biking is a great way to train for mountain biking. I am skilled enough in the climbs, but I have to practice maintaining my pace and my energy on long, flat distances. The roads in the Mont-Tremblant area are ideal for that! T: You seem to be truly passionate about your sport! Has it always been the case? F: I’ve always been attracted by mountain biking, but I really discovered the sport when my family moved out West. We lived for a few years in Whistler, where mountain biking is an integral part of life. Everyone does it! I spent a lot of time exploring the trails in the area with my friends, and also going out just for the fun of it. 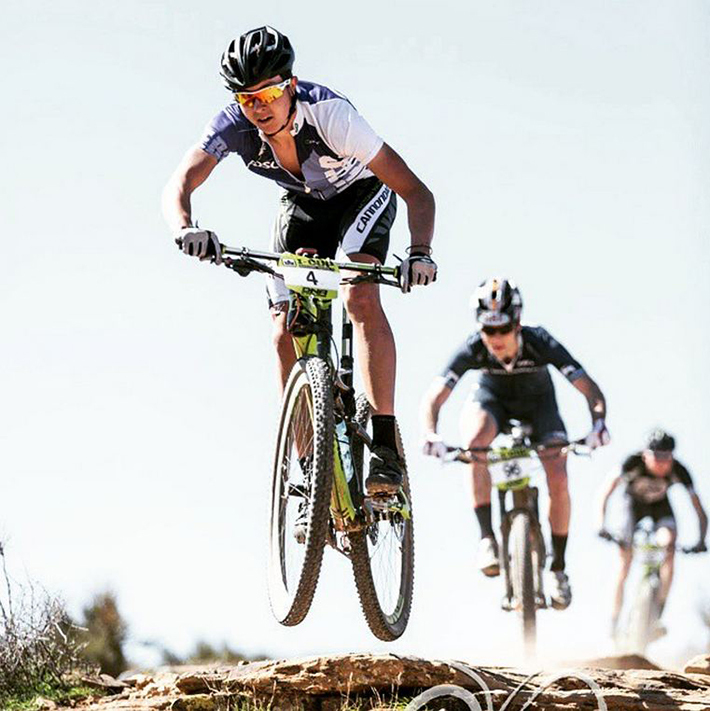 I then began to develop a taste for the sport and the mountain bike culture in general. T: How did you get the idea of competing? F: It was a natural progression! There are races almost every week in Whistler, and I began to register as a novice, with my father. From race to race I progressed and joined a different pack every time! At the end of my first summer, I was in the top ranks in my category. During winter 2011-2012, I had the Junior Cup in my head and I started to train more intensely. My training was a bit all over the place! I lifted the heaviest stuff I found in the gym, etc. Still, the following summer, I participated in tryouts for the British Columbia Team and was considered among national-level athletes. When we returned to Quebec, I started to take my sport more seriously; I found myself a great coach and my training became more adapted and structured. T: You must have seen a big difference in the level of training? F: Let’s say that one of the biggest differences is that, when it was just me, if I did not want to get out, I’d skipped a day. With a coach, even when you don’t feel like it, you go out and just do it! This is a great motivation. I also used to train in a very general manner in the gym but now I mainly focus on the bike and do stability exercises. T: So when can you say your athletic career began? F: My athletic career really began in summer 2013. I was my first participation in the Canada Cup and I finished in 2nd place. Two weeks later I won the second Canada Cup. That summer went so well! I came in second at the Nationals, I was selected to join the National Team, and came in 10th position at the Mont Sainte-Anne World Cup. I finished 25th at the World championships and this allowed me to go up to Tier 2 in the National Team. T: Your first season was almost perfect! The pressure must have been higher the following summer? F: Indeed, and because I was in Tier 2, I put a lot of pressure on myself. I progressed very quickly during my first season, probably too quickly. I was also not prepared enough for the other aspects of competitive cycling, such as the psychological factors. Although I was constant, my performances were not as good. During the summer of 2014, I discovered the psychological side of the sport and I got to know myself as an athlete. My biggest lesson was realizing the importance of a healthy life balance. For a while I was a hermit and my life revolved 100% around biking! I understood that focusing on only one activity does not make me better; in fact, it had the opposite effect. T: How did you adapt your life in consequence? F: I started to diversify my schedule a little, spend time with family and friends, concentrate a little more on school… I believe I needed to live this stage in my professional career to find balance. T: Do you have a specific goal for the 2015 season? F: Ideally, I would like to bring together the learnings of my second season and the success of my first. This summer marks my first season as a professional cyclist and this brings extra challenges. The competition is at a higher level in U23 than in U19, but I am going for podiums at the Canada/Québec Mountain Bike Cup presented by VéloMotion in Tremblant and National Championships. I would also like to get in the top 30 with the Canadian Team at the World Championships in Andorra. My other goal this summer is to strive for the success of my bike camp for youths. This is an exciting project for me! 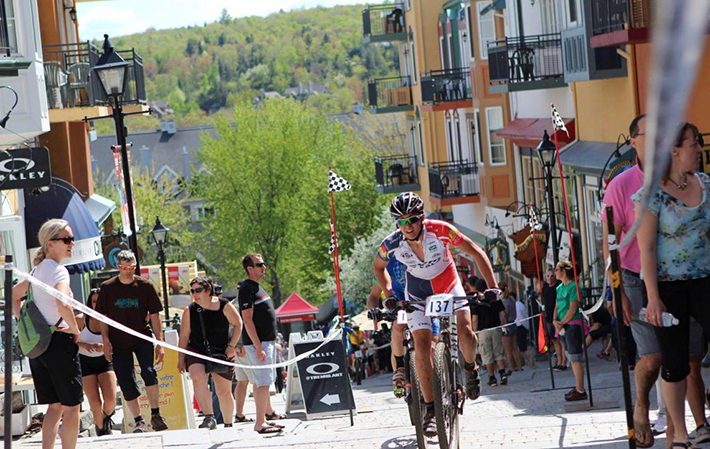 We look forward to seeing and supporting our rising star in Tremblant this weekend for the Canada/Québec Mountain Bike Cup! Good luck Félix!